Iowa Birth Activists: You can talk the talk, but can you walk the walk? Put you're money where your mouth is. A bit strong, but at times a necessary truth. Here it is folks: a call to action. This week internationally acclaimed author and speaker Suzanne Arms is coming to Iowa to give a serious of lectures. 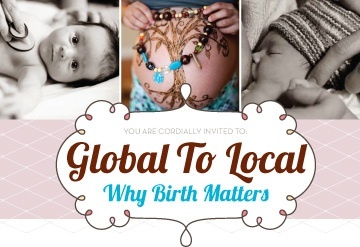 The lecture / event series is called Global to Local: Why Birth Matters and is brought to you by Healing Passages Birth and Wellness Center (check them out - they truly are walking the walk). These events are intended to both initiate and continue the conversation(s) in our community about our experiences in birth - as women, mothers, babies, father, families, and as a community (globally and locally). The "grand" event is an awesome GALA being held at Jasper Winery on October 5th - get your tickets ASAP. The gala is a fundraiser for the healing passages birth center, scheduled to be opened in the Historic Sherman Hill district in Des Moines - the building that will house the birth center is a Green & Main project and is pretty exciting on its own. 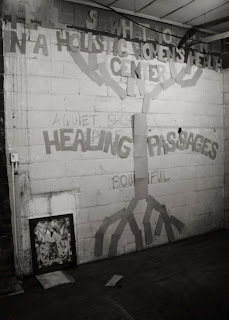 The truth is, supporting this birth center supports access to evidence-based care in our community. Yes, it costs money to attend this Gala, but folks let's be honest we spend money on a lot of frivolous things every single day. I was speaking with a friend the other day and she made a connection between our support of this project (or potentially any project which we may not use) as comparable to recycling. Why are so many folks recycling? It's not necessarily for themselves, for their own direct gain, but for the gain of future generations. For the gain of our planet. For the gain of all of us collectively. This project is no different. Regardless of whether you'll ever birth in this amazing building or not - please consider the larger impact of your support (in whatever form that support takes). Let's put our money where our mouths are and make something amazing happen in our community. I love you Mandi Hillman! So very eloquently stated and the analogy is like and Ah Ha moment!